CDC director Dr. Tom Frieden called the findings “troubling” in a press briefing today. “There’s a reason hypertension is called the silent killer,” he said. For the report, government researchers analyzed data from more than 18.5 million people enrolled in Medicare Advantage or Original Medicare with Medicare Part D prescription drug coverage during 2014. In addition to the overall rate of people adhering to treatment, they looked disparities based on geography, race/ethnicity, and income status, among other factors. About 5 million Medicare Part D enrollees ages 65 or older are not taking their blood pressure medicine as directed, meaning they may skip doses or stop taking it altogether. 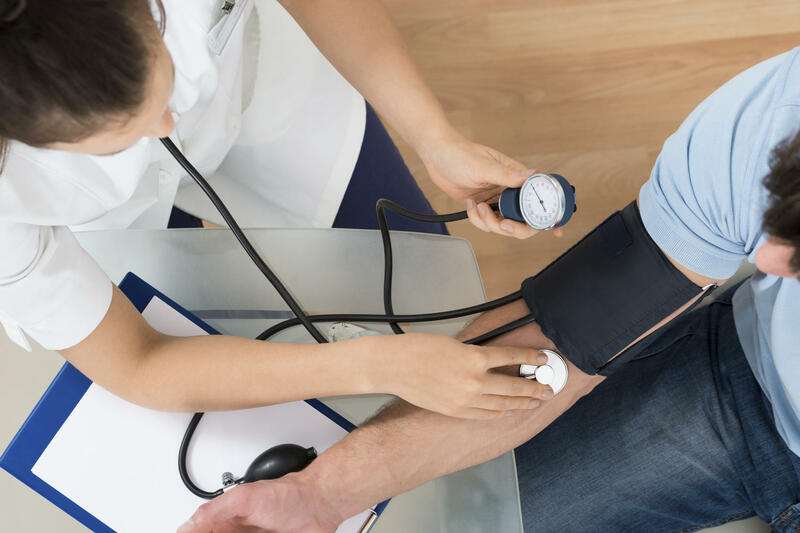 The percentage of those not taking their blood pressure medicine is higher among certain racial and ethnic groups, specifically American Indian/Alaska Natives, Blacks, and Hispanics. This contributes to these groups’ higher risk of heart attack, stroke, kidney disease, and death. Southern U.S. states, Puerto Rico, and the U.S. Virgin Islands have the highest overall rates of people not taking blood-pressure medicines as directed. North Dakota, Wisconsin, and Minnesota have the highest rates of people who do take their medicine as directed. Though the report did not look at the potential reasons why so many people are not adhering to their blood pressure medications, the researchers say a number of factors are most likely at play, including unwanted side effects and complex pill regimens. Frieden also pointed out that many people have the common misconception that their blood pressure is fine because they do not have any symptoms. A major goal of the report is to drive home the importance of taking blood pressure medication as prescribed. The report concludes that the entire health care system needs to work together to help make sure people are adhering to their medications, and to lower the risk of complications from hypertension. For example, clinicians should check patients’ blood pressure regularly and simplify treatment by prescribing 90-day refills and combination medicines. They can prescribe generics to help keep costs down. Pharmacists can also check blood pressure at prescription pick-ups, ask patients if they’re taking their medications as directed, and counsel them about how and why to take the medicine. Community health workers can provide education and connect patients with resources to help manage their blood pressure. Finally, patients and their loved ones can consider monitoring their blood pressure with an at-home testing kit, and use weekly pill boxes or a mobile app to keep track of when to take their medicine.